Was it a Church? There are many stories about this old structure which you can see in this article. The story which has outspread is that the building is a 100 years old church. One day while passing by the place, My wife pointed her finger towards the only building that was there. She told that this was a 100 years old ancient Anglican church. An open discussion about the Building: The owners of the building, municipality officials, and engineers have discussed the issue of this building during an open discussion held in Balad. The discussion had been an open invitation to the public, photographers, media, and experts to clarify this rumor or myth which had been spread over the internet about the building located behind the Juffali Mosque. 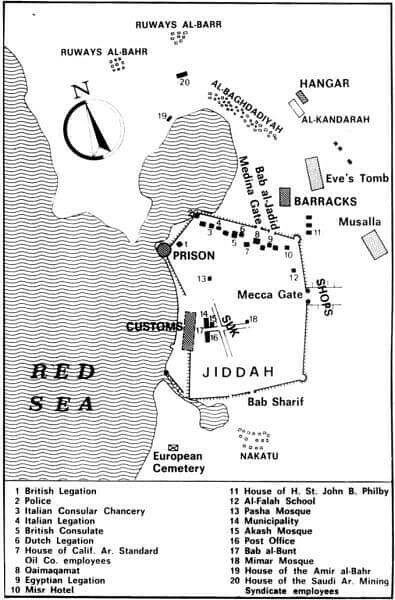 The old map of the Building: The director of Culture and Tourism in the Municipality of Jeddah, Sami Nawar who is also in charge of the historical area of Jeddah had shown the audience comprising of 100 people through the aid of a map which had been drawn in 1930 by a British Citizen that the structure was not the remains of any church. 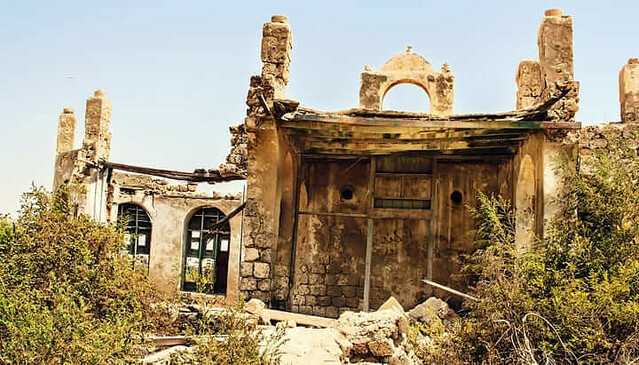 Nawar stated that they have proof from a survey which was conducted in 1930 by a Christian British man who had documented all the structures in the old Jeddah area. If the structure had been a church, it would have been mentioned along with the cemetery of non-Muslims. 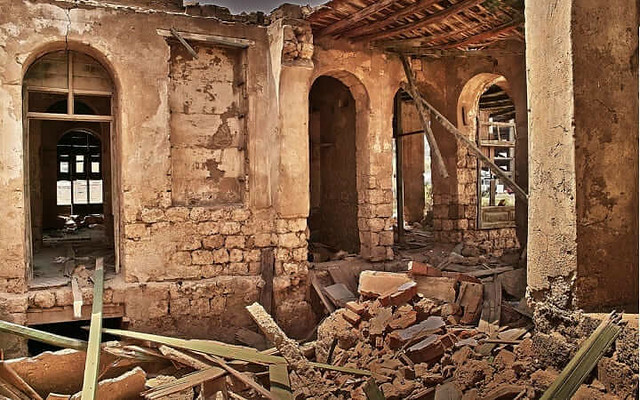 Nawar stated that if the building was indeed a church, the British man would have documented it, however, he thinks that somebody on the internet has hugely exaggerated the issue as the building has been abandoned for more than a century. The House of Prince of the Sea? 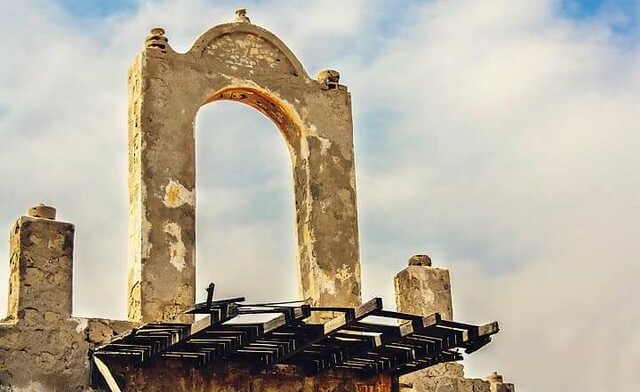 The Society for Architectural Heritage Protection in Jeddah and the Jeddah Municipality has come out to deny rumors that remnants of a structure located in the downtown area used to be a church. He also added that the building had been described in the documents as the house of the Prince of the Sea (Bait Amir Al Bahr) and the municipality is in possession of the map which had also been made available to the public. Who is the Owner of the Building? A retired engineer, Abdullah Yousuf Baker had also examined the location with other engineers. He stated that based upon his observation and information gathered from extended family, this old structure allegedly belonged to somebody named Mohammad Ali Abdu. Abdu had been an employee of the Hollandi Bank and in charge of the desalination plant. Baker added that speculation spreads quickly without any proof. Ali Abdu’s grandson has also come forward to clear out to everybody that nobody is living in his grandfather’s house and it had never been a place of worship. The Building has Arabic and Turkish designs: Additionally, from a perspective of an engineer, the architecture and shape of the building are like the Arabic and Turkish designs which were to the era it was built in. The owner of the building Lamia Bashan had confirmed that the uncle of her mother, Mohammad Ali Abdu had built the house. He had taken the land from the government at that time and built a house to live in. Her grandfather had told her that the house had been built like this as he liked the artistic style. However, it cannot be a church as when you go inside you can see that there is no place for a bishop to stand or people to sit.